Elise Crum – IRIS Educational Media, Inc.
Tiffany Davidson – BS, JD – Tiffany Davidson Attorney at Law, P.C. Laurel Hook – JD – Stahancyk Kent & Hook P.C. Robert Loveland – PhD – Robert J. Loveland, Ph.D., P.C. Suzanne Revelle – JD – Suzanne Revelle, Attorney at Law, P.C. Michael Romano – BS, JD – Romano Law, P.C. This on-line membership resource directory was created as an Oregon Chapter member benefit to provide a useful listing of its current membership and the services the member provides. This on-line directory is for informational purposes only. Inclusion in the on-line directory does not constitute endorsement of the services by the Oregon Chapter of AFCC, or the Parent Organization, AFCC. No steps have been taken to verify any of the information that has been self-reported. 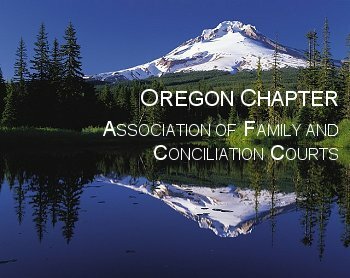 The AFCC Oregon Chapter is dedicated to expanding the benefits of AFCC by addressing the unique needs of members at the state and local level. The AFCC Oregon Chapter is a 501 (c) (3) entity, and is accepting tax-deductible donations.